KUALA LUMPUR, Malaysia—Goldenduck International recently outfitted the newly-opened MBO The Starling Mall with end-to-end cinema surround audio systems by HARMAN Professional Solutions. Founded in 2005, MBO Cinemas operates 27 complexes across Malaysia, making it the third-largest chain of movie theaters in the nation. 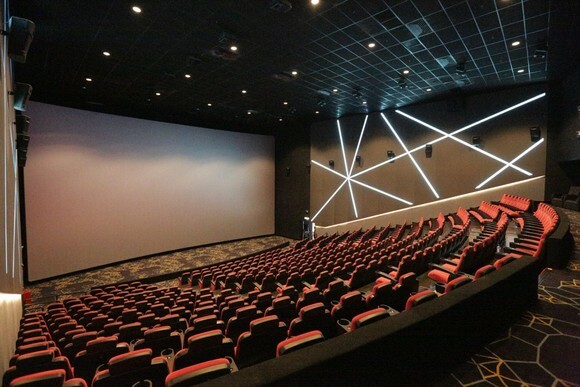 The new state-of-the-art facility at The Starling Mall in the Kuala Lumpur suburb of Petaling Jaya offers a wide range of unique movie-going experiences, with revolutionary theater formats such as MBO Big Screen, MBO Premier, MBO MX4D and MBO Kecil. In order to ensure pristine surround sound reproduction, MBO Cinemas hired cinema sound integrator Goldenduck International to outfit MBO The Starling’s ten theater rooms with premium cinema audio systems. Goldenduck selected a complete cinema audio solution by HARMAN, comprised of JBL ScreenArray Series cinema speakers and Crown amplifiers. The HARMAN system installed in the large-format MBO Big Screen theater includes 27 JBL 4732 ScreenArray three-way cinema speakers, which provide impactful dynamic range, zero distortion and optimal coverage throughout the auditorium. The four-way speakers are supplemented by 27 JBL 4732M/HF mid- and high-frequency speakers, while 27 JBL 4739 low-frequency cinema speakers deliver powerful low end response. All of the HARMAN systems are enhanced for critical film sound reproduction in medium to large cinemas environments, and are fitted with Second Generation Optimized Aperture Waveguide technology for an extremely uniform frequency response. “At MBO Cinemas we want to offer our patrons with a comfortable, exciting and memorable experience. MBO the Starling offers the latest in cinematic experiences such as BIG SCREEN, the first MX4D hall in Malaysia, the first kids hall KECIL in Malaysia and PREMIER hall. We are happy to be associated with JBL and Thank Golden Duck for their customer service.”, Said, Mr. Enghee Lim, CEO of MBO cinemas. The HARMAN system installed in the large-format MBO Big Screen theatre includes five 5742 high power four-way screen speakers consisting of five 5742-M/HF sections and five 5749 low-frequency sections. Each of the 5749 sections consists of two 18” low-frequency drivers providing extended low-frequency sound. The screen speakers are supplemented by an array of 4645C subwoofers for powerful, booming base response. Thirty eight JBL 9310 Surround speakers provide the immersive surround experience. The remaining eight auditoriums feature JBL 4732 ScreenArray three-way cinema speakers, with each auditorium installed with three 4732 screen speakers, and a combination of 9300 surrounds speakers and 4645C subwoofers. Crown DSI 2000 and DSI 4000 amplifiers provide clean and reliable power to all speaker systems in the complex.